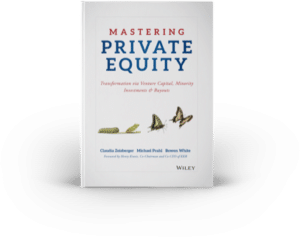 Mastering Private Equity was written with a professional audience in mind and provides a valuable and unique reference for investors, finance professionals, students and business owners looking to engage with private equity firms or invest in private equity funds. From deal sourcing to exit, LBOs to responsible investing, operational value creation to risk management, the book systematically distills the essence of private equity into core concepts throughout the private equity life cycle. 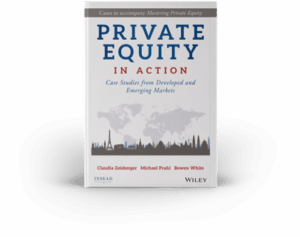 Private Equity in Action takes you on a tour of the private equity investment world through a series of case studies written by INSEAD faculty and taught at the world’s leading business schools. The book is an ideal complement to Mastering Private Equity and allows readers to apply core concepts to investment targets and portfolio companies in real-life settings. The 19 cases illustrate the managerial challenges and risk-reward dynamics common to private equity investment.